It’s Thursday, and, as promised, I’m here to report on my first week of book marketing. The “as promised” was an important first step. Without it, I probably wouldn’t be posting today because if there is one thing I am a champion at, it is procrastinating. However, I am also extremely good at keeping my promises to others. My pledge worked: here I am. The second step was to follow Shelley Hitz’s suggestions in her article “3 Ways to Get More Honest Reviews for Your Book” from first to last. Her first suggestion is to study the Amazon Top Reviewers list to locate book reviewers in my genre. When I arrived on the page, I was overwhelmed with a list containing over 10,000 customer reviewers. Where to begin? I did not find a way to search for the types of books or other products the person reviewed. Yes, products other than books are evaluated, everything from craft items to video equipment and more. Shelley did warn that the process “takes time and is tedious.” I bookmarked the list with the idea of checking back when I had more time. Shelley’s second suggestion is another way of using Amazon reviews to find book reviewers. By searching Amazon for books in my genre and reading what reviewers have to say, I can see the types of reviews a reader is posting. If I like a reviewer’s approach, I can click on the link and learn more about that reader and his or her interests. If the reader enjoys books in my genre, I can ask for a review. I will write more about my results using this approach in a future post. Shelley’s next suggestion is to use the Review Grabber Tool from the Author Marketing Club. The Grabber Tool sounds great because using it eliminates the need to personally search through the entire Amazon Top Reviewers list to find readers in my genre. The tool will do it for me. Unfortunately, I will have to be a premium member to use the tool, and premium means paying a subscription fee. I may decide to do this later, but there are many sites that charge a fee, so I want to investigate further and make sure I am paying for the best sites for me. I did sign up for a free membership and received the Amazon book description .pdf and am able to use the free Kindle book submission tool, which is a list of sites that allow writers to announce free Kindle promotions. Shelley’s fourth suggestion is the Readers’ Favorite site. As she noted in her article, this site provides free book reviews, but to expedite the review process, I can pay a fee and have a review in two weeks. The fee also entitles me to some other perks. Since my novel, The Survivalist’s Daughter, has been available for a year now, I did not see getting reviews as an emergency for something like a book launch and decided to try the free review possibility. I say possibility because reviews are not assigned. The readers choose what they want to read based on the book cover and description, just like any customer would, so I decided free was a great way to test my cover and description. When I am ready to launch the first book in my historical series, I will definitely consider the expedited review process. Those are my experiences so far. Please leave a comment about any of the suggestions you have tried and how they are working for you. I will be back next Thursday with a rundown on my step, finding and building relationships with book bloggers. 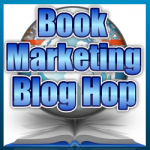 This entry was posted in Marketing novels and tagged Book Marketing Challenge, Book reviews. Bookmark the permalink. Good for you, Hazel, to plough ahead and venture into new territory! I’m impressed! I hope you get some reviews. Keep us posted!